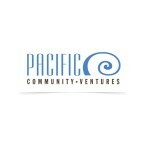 Pacific Community Ventures (PCV) is a private, for-profit, venture capital fund that invests in high potential companies across diverse industries based in California’s low and moderate income communities. PCV has fueled the recovery since the end of the Great Recession five years ago. PCV has created 1,297 jobs for working people in underserved communities and empowered 867 companies across 25 states. The small business owners in PCV’s network saw a 12% job growth. PCV also worked at a national and international level with policymakers and investors in 148 countries to build impact investing markets and drive more private capital toward social good and underserved communities.